Tom Gurion: Writing a programming book? Don't compose an utility library! Writing a programming book? Don't compose an utility library! I came across two books recently, in which the authors decided to write an utility library. The first book was Python in Practice, by Mark Summerfield (my opinion about the book can be found here), and the second, which I'm still reading, is Doing Bayesian Data Analysis, Second Edition, by John Kruschke. A separate review will be added when I will finish reading it. The books are different in their nature: One is about python programming, while the other is about statistical methods, and uses the R programming language for hands-on examples and exercises; the first book is average quality overall (IMHO) and the second is absolutely amazing! However, I believe that I may be able criticize the utility libraries that came with the books in the same manner: Don't do this! When I need an external tool in a python project I know I have pypi to rely on for finding packages. I have pip to easily install the package and prefer to work with virtualenv whenever possible. This set of tools help me in maintaining a sane codebase, and reduce the effort of managing the dependencies by my own. There is no chance that I will copy an external module into my project and source control it unless I'll have to, so why to use this module in an educational project in the first place? I really don't know what is the convention in installing R external packages, but I believe that Kruschke suggestion of sourcing his supplied scripts is not the proper way to do this (enlighten me if I'm wrong). Before I'm installing an external package I tend to search about the package quality. First thing is checking how many stars the package have on github and how many times it was downloaded from pypi. And there is a reason behind it: I can rely on packages that are used often to have better code quality; through gihub I can browse the package issues / latest commits and make sure that it is still maintained. I'm sure that books authors invest a large amount of time in writing their utility libraries. But code free of bugs doesn't exists, and I prefer to know that the codebase is maintained before I use it (again, without distinction between educational and "real" projects). If your utility library is a mix of different solutions for different problems, it might not worth keeping in our toolbox. The above is probably more relevant to Python in practice than to Doing Bayesian Data Analysis, but I think it's still worth mentioning. When I choose a tool to work with I want it's documentation to be top notch! Take django for example. The project's documentation is not less than perfect, including a great tutorial for beginners. I really don't want to look for the book when I'm interesting in put in use some less obvious function from an utility library. If you think that your utility functions worth it pack it and publish it as any other package. I really don't mind reading one or two additional pages of code in your book, if there's something interesting in it. Again, if the code deserved to be mentioned in your book, it may be also deserved to be talked about explicitly. If this functionality exists elsewhere you should reference it, and advise the user to use it. 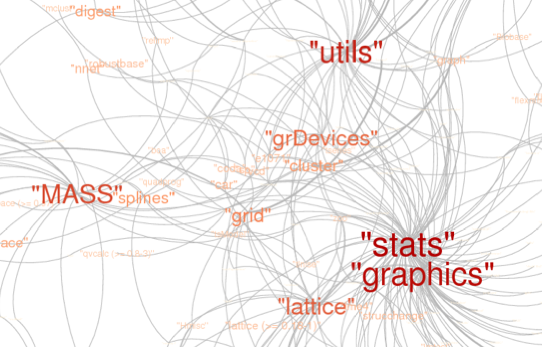 I've never wrote code in R, but was ready to learn how to work with its ecosystem. I expected Kruschke to teach me that, instead of showing me how to source his supplied scripts. Don't get me wrong, supplying code as part of your book is great! But there are different ways to do it: David Beazley's Python Cookbook is full of code snippets, fully commented and explained; In Test-Driven Development with Python Harry Percival guides the reader in developing an webapp with reference code available at github. Don't get me wrong 2: The above doesn't mean that the books are bad. Don't miss Kruschke's comment below! He lights the above topics from different angle and supplies great arguments for his decisions.